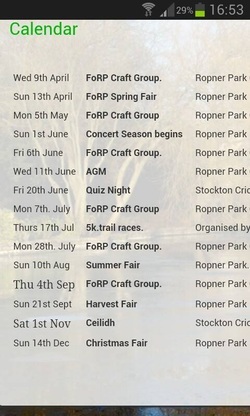 FoRP Craft Group meets regularly once a month. The days vary so that all members can attend. Craft group meetings times in 2014. 9.30 in the Ropner Park Cafe. There will be entertainment on the bandstand every Sunday afternoon from June to September. Meat and Yorkshire Pudding, Mashed Potato, Three Fresh Vegetables. Bookings are necessary . Ring the cafe on 633767. Starts 8th. Sept. Leaflets are available in the cafe for a childrens` guide and games, orienteering and park walks. In June 1890, Major Robert Ropner offered a piece of land to the people of Stockton which could be used as a public park, providing the local council would lay it out tastefully and keep it for ever. 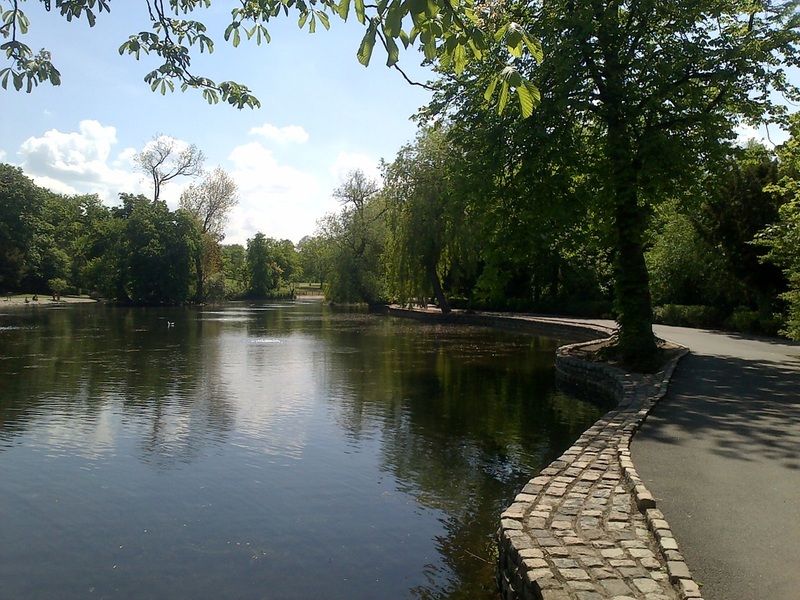 Just over 3 years later, on 4th October 1893, the park was officially opened by the then Duke and Duchess of York . The lake has been drained and restored, and the fountainis now in working order. A new bandstand has been built to a design recognisable the world over. An adventure playground is enjoyed by families and tennis courts are in place for the energetic.Nearby is a new pavilion which houses the cafe, which is run by the Friends of Ropner Park and is open every day. 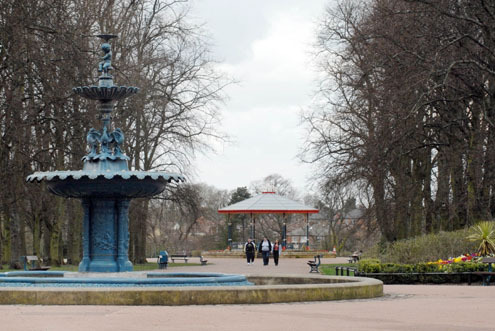 The new, restored Ropner Park has proved to be very popular, having something to please visitors of all ages. Sir Emil Hugo Oscar Robert Ropner, 1st Baronet 1838-1924, was a British shipbuilder, shipowner, and Conservative Member of Parliament. He was known simply as Robert Ropner. He was born 1838 in Magdeburg, Prussia He emigrated to England and worked for a coal export concern before building up a fleet of colliers and founding in 1874 the Ropner Shipping Company in Hartlepool. Ropner died February 1924, aged 85, and was succeeded in the baronetcy by his eldest son John. His third son William Ropner was the father of the Conservative politician Sir Leonard Ropner, 1st Baronet of Thorp Perrow.